Obtaining a commercial EPC in Grantham (Energy Performance Certificate) is great for your commercial property. Your professional non-domestic EPC will show the energy efficiency of your property. An accredited assessor will take a look at your property and give you their evaluation. They take into account the lighting, heating and cooling systems of your property, and the fabric of the building. If you own commercial property in the UK, the law requires you to get an EPC. The document rates your property from A to G. A is the most efficient while G is the least efficient. 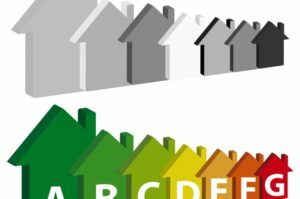 When it comes to your EPC in Grantham, we give you a comprehensive energy survey to give you a complete assessment of your property. We first assess the energy efficiency of your property. We have a team of professionals who will help you go through the results. You can use the information to improve the efficiency of your home. We take records of your controls and heating systems. If there is any other important detail about your home we keep a record of it too. We use the records to give you your EPC. Once you get your EPC, it remains valid for ten years. Getting your Commercial EPC in Grantham may help you to cut down the consumption of energy on your property. Your EPC includes recommendations that you can follow to increase the efficiency of your property. Our team is glad to give you recommendations for other actions that you can take to further improve efficiency. If you are trying to reduce the amount that you spend on energy and have no experience in the matter, we are the perfect choice for you. It is an excellent chance for you to minimise the expenditure of your business. Having an EPC helps you play your part in reducing carbon footprint. It helps you save gas and electricity. Making your business energy efficient has plenty of social benefits. Many customers prefer to promote businesses which have a good environmental profile. Contact A& C Energy Surveys Ltd for your EPC needs. We are an accredited assessor for both commercial and domestic properties. Our pricing is fair and our service is excellent. You can rely on our reports to make changes and improve the efficiency of your property. We provide our domestic and commercial EPC services in Northampton, Lincoln, Cambridge, Nottingham, Leicester and Peterborough areas, to name a few. Contact us on 07513 990 269 or fill in the enquiry form below to get a free quote.